She was 21 when 19-year-old Aidon died, causing her father to attempt to end his life three months later. Ms Breen, who is now an advocate for suicide prevention and mental health, said often people were more resilient than they thought. �There is always someone who has to get their family through and that was my role,� Ms Breen said. Three years after Aidon�s death, Ms Breen wrote a book about the �ripple effect� of suicide. �Everyone has their own recovery and for me, being able to put it all down was important. If even one person takes something away from it then it has served its purpose,� she said. Ms Breen is one of eight Australians in Suicide Prevention Australia�s Lived Experience Network leadership group. �It�s extremely important in policy, research and programs for suicide prevention,� she said. 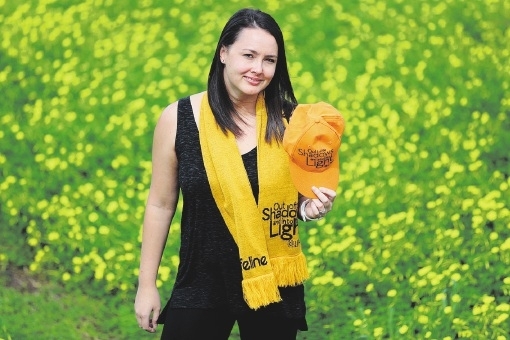 Hundreds of people touched by suicide will walk in Lifeline WA�s Out of the Shadows and Into the Light walk at Kings Park this Saturday. Ms Breen said it was her �number one event� for the year. �It holds a special place because you�re there for your own reflection, you don�t need to talk and you can do it at your own pace,� she said. Ms Breen said rather than �looking for the signs� there needed to be a focus on enforcing positive mental health. Lifeline WA chief executive Fiona Kalef said the event was �imperative� in raising awareness for crisis support and suicide prevention services.